Planning a wedding, birthday party or big event in Durango? Check out some of the area's best caterers, wedding planners, banquet halls, reception halls, bartenders, party rentals and more. 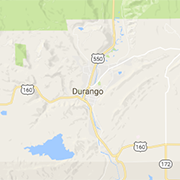 The Durango area is perfect destination for your event! Moore Farm Tables is eager and dedicated to providing unique, rustic farm tables to enhance your event. Open to the public, enjoy dining with the best views in Durango, featuring Modern American and Fusion cuisine. Located 15 minutes from Downtown and 20 minutes from Purgatory.